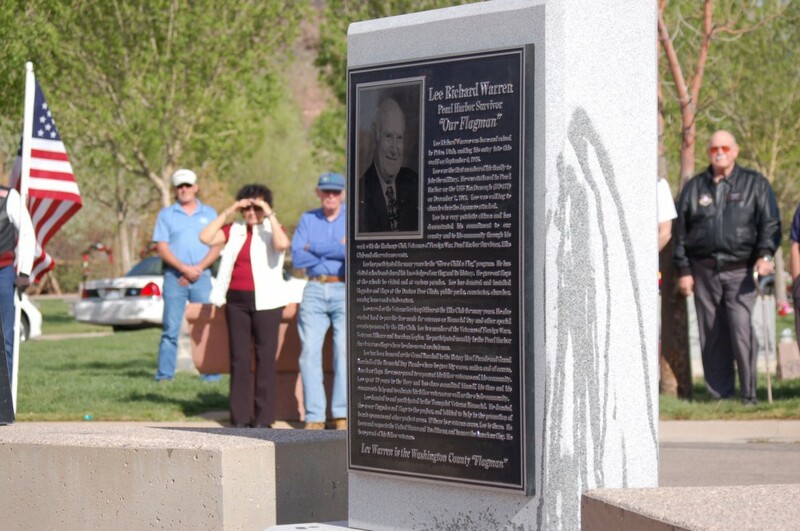 ST. GEORGE – The memorial monument of Pearl Harbor survivor and well-known community member, Lee “The Flagman” Warren was unveiled and dedicated on Monday, March 31 during a windy yet well attended ceremony. 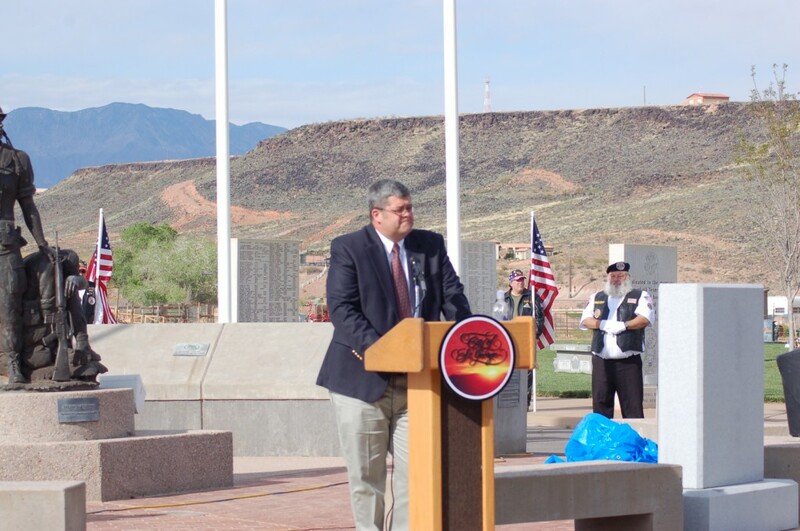 The monument, which is located at the Flag Plaza in Tonaquint Cemetery at 1777 S. Dixie Drive in St George, pays tribute to Warren’s service to the community in handing out thousands of mini American flags and flag pins at patriotic events all over Southern Utah. 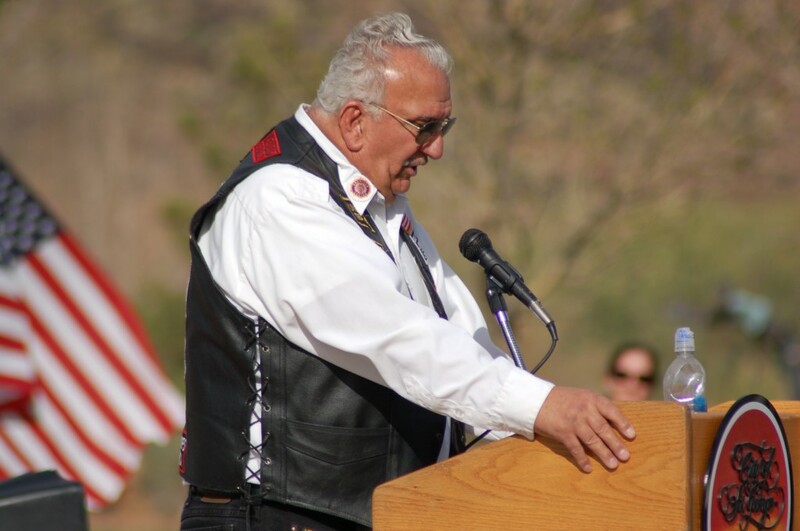 “One day people are going to walk away (from the monument) and say ‘special man, special patriot,’” Strutzel said. 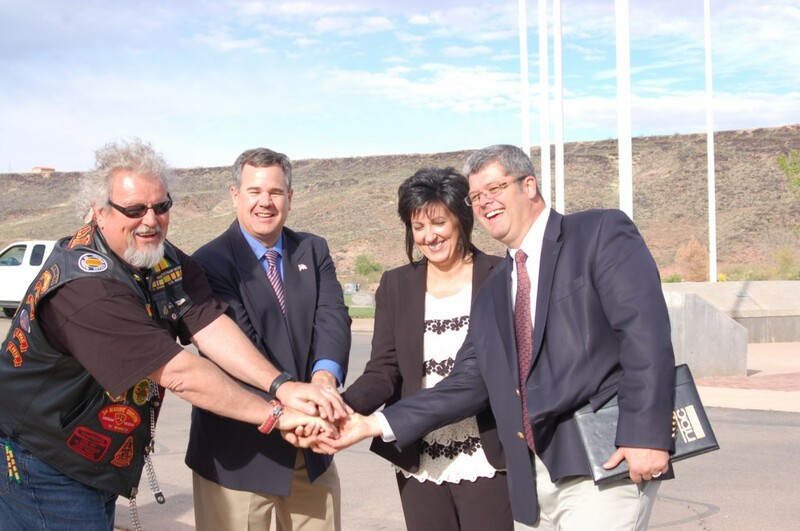 The dedication was attended by several local dignitaries including; St. George Mayor Jon Pike, Councilwoman Michele Randall, and Brett Labrum, president of the St. George Exchange Club. 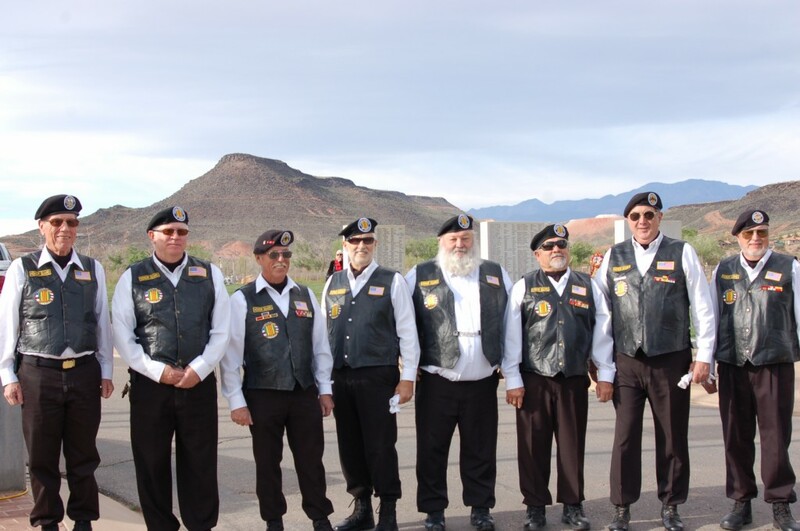 The Patriot Guard Riders stood a flag line creating a security perimeter around the ceremony. 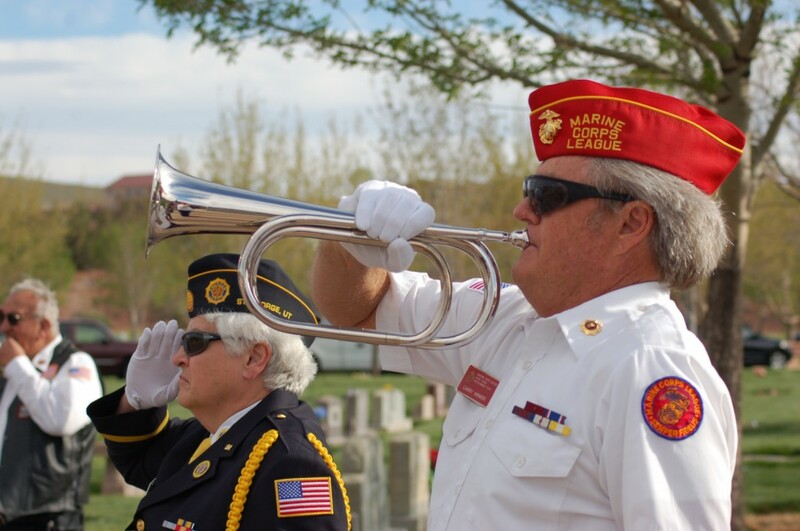 Additionally, Vietnam Veterans of Southern Utah Chapter 961 acted as honor guard and the Marine Corp League was also represented. 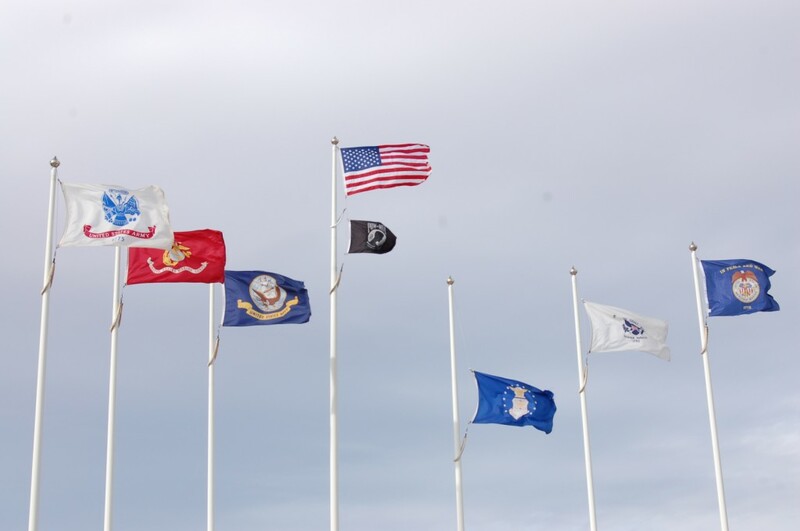 Gotta correct a misattribution; Bruce Solomon is not head of Veteran Affairs, I’m just the low man on the Totem Pole at the St. George Vet Center. 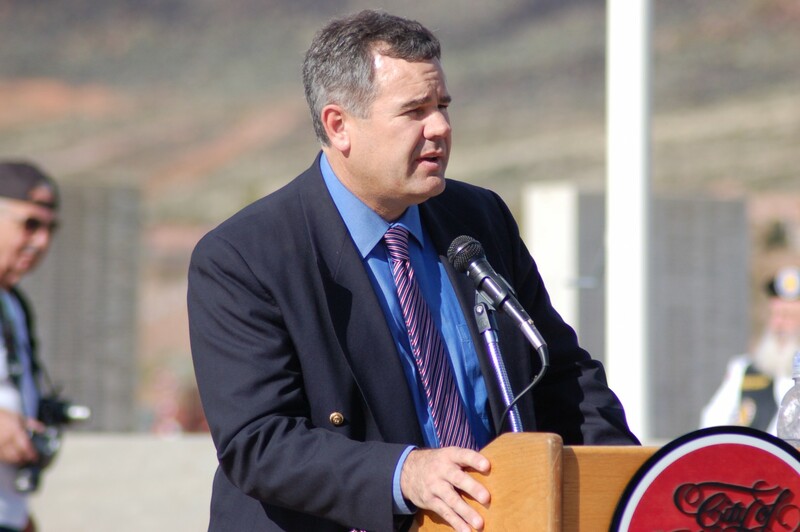 Photo caption corrected, starboss – one day perhaps you will be the head of Veterans Affairs . . .